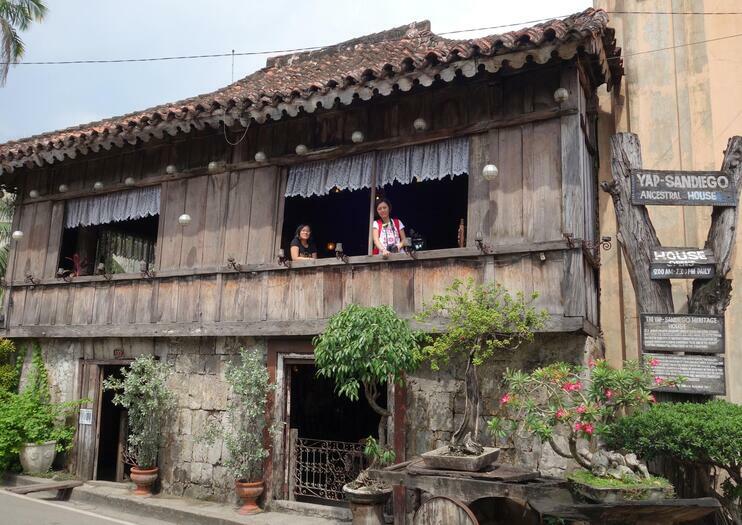 Built in the 17th century by Chinese-Filipino merchant Don Juan Yap and his wife Doña Maria Florida, Yap-Sandiego Ancestral House is one of the oldest preserved homes in the Philippines. In Cebu City’s Parian district, as you wander the two-storey home you can get a glimpse of life as it would have been during colonial times. One of the best things about this little museum? You’re allowed to pick up and get a feel for all the centuries-old artifacts dotted around the house — chinaware, cutlery, figurines, ornaments, and glassware — everything. Be careful not to drop anything though, as truly, all these ornaments are priceless. Clearly the Yaps were a devoted Roman Catholic family — you’ll see life-sized religious figures all over the house. Check out the wishing well in the back garden, too, and ask the caretaker/guide/resident photographer to snap your picture in front of it. He’s famous for being happy to take your photo wherever you’d like. He’ll also regale the history of the home, but of course, you’re free to explore by yourself too. Converted into a museum by Yap’s great great grandson, Val Mancao Sandiego, in 2008, at the weekends Sandiego and his family still sleep here so that the house will continue to feel like a home. At 155 Mabini St. Parian, just across from the Heritage Museum of Cebu at the corner of Mabini and Lopez-Jaena, Yap-Sandiego Ancestral House is open from 9am-6pm daily. Entry costs P50.